Comas Montgomery Realty & Auction Co., Inc.
Jon J. Jolin Estate SOLD!!! 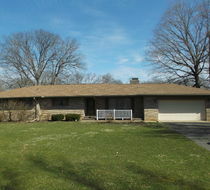 Lee & Velma Zylstra SOLD !! Black Friday Antiques & Collectibles Auction! **Ended** Estate Auction - Chippewa Twp. Activate ability to jump the bid? "Jumping the Bid" is a bidding strategy by which a bidder increases the bid by more than the next accepted bid (placing your bid at $150 when the next accepted bid is $125). This practice is used by some bidders to discourage others from bidding in hopes of acquiring an item at a lower price. There are many theories on the effectiveness of this practice and a bidder who wishes to apply it does so at their own discretion. The auction company will not lower the price of an item that has been won by a "jumped" bid with no other competing bids.